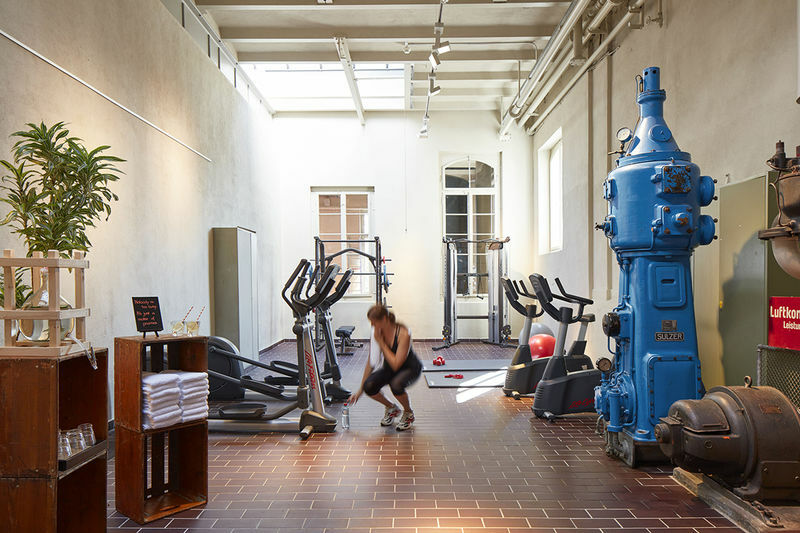 The old pumproom, located next to our unique machine hall, glows today as a perfect equipped fitness area. Wether you had a long day at work or you just woke up, our fitness room will help you unwind. We offer you the newest "Life Fitness" machines for your training. The infinity roof top pool, the Irish-Roman Spa and the Wine Library await you! Sportly times in the old brewery!